Our overarching theme is multidimensional measurement and analysis of poverty and poverty programs. James Foster’s influential work on multidimensional measurement provides the underpinnings of the new UNDP Multidimensional Poverty Index; Professor Foster is applying this work to measurement in several fields including educational quality, women’s wellbeing, health, nutrition, and corruption. In addition, IIEP faculty are working on design and impact of multidimensional poverty programs, multidimensional screening of poverty program eligibility, and multidimensional poverty traps analysis. Read the complete overview here. 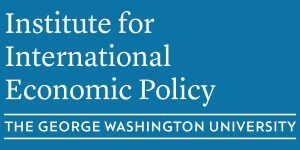 In 2009, with the support of a generous donor who has chosen to remain anonymous, the IIEP Ultra-poverty Initiative was launched at the Institute for International Economic Policy, which is part of the Elliott School of International Affairs at George Washington University. Since then, there have been over a dozen IIEP events on poverty and human development, with many more to come. The Initiative is coordinated by James E. Foster and Stephen C. Smith; several other GW faculty are participating. You may read about other IIEP faculty with expertise in poverty and download IIEP working papers on poverty.